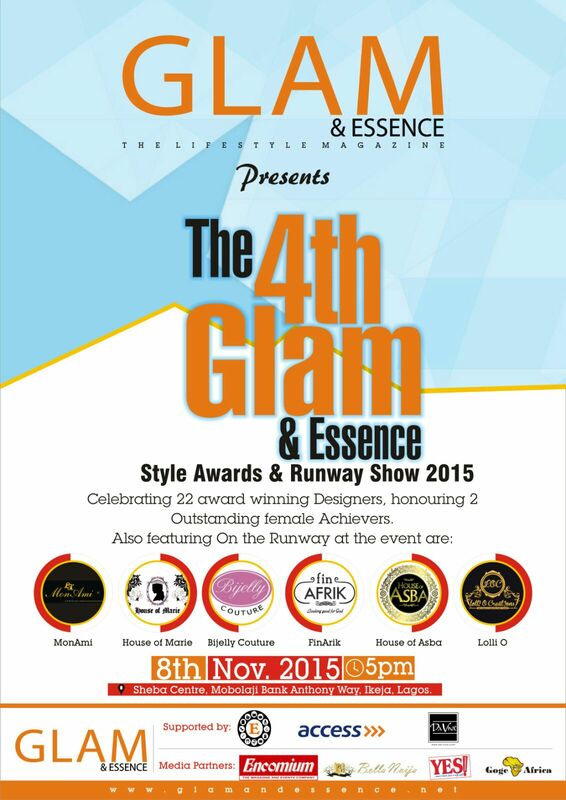 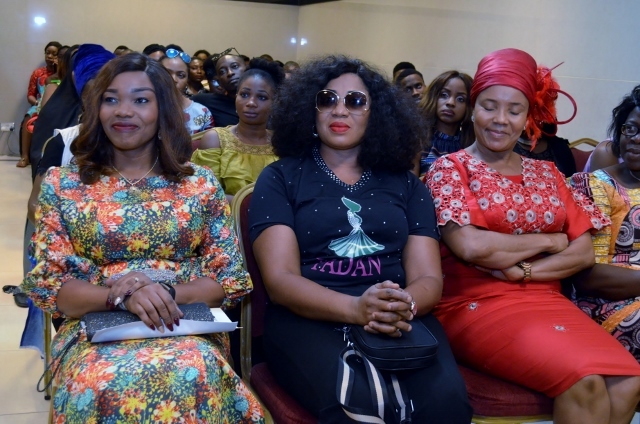 Presents: The 4th GLAM & ESSENCE Style- Awards & Runway Show 2015. 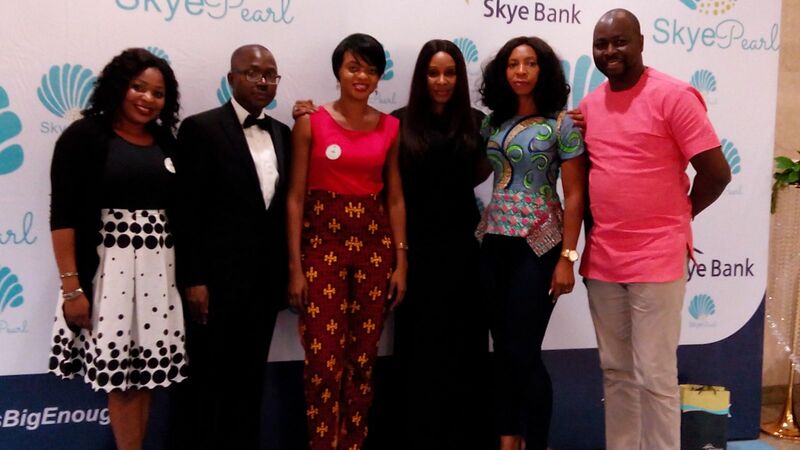 Celebrating 22 award winning Designers, honouring two Outstanding Female Achievers. 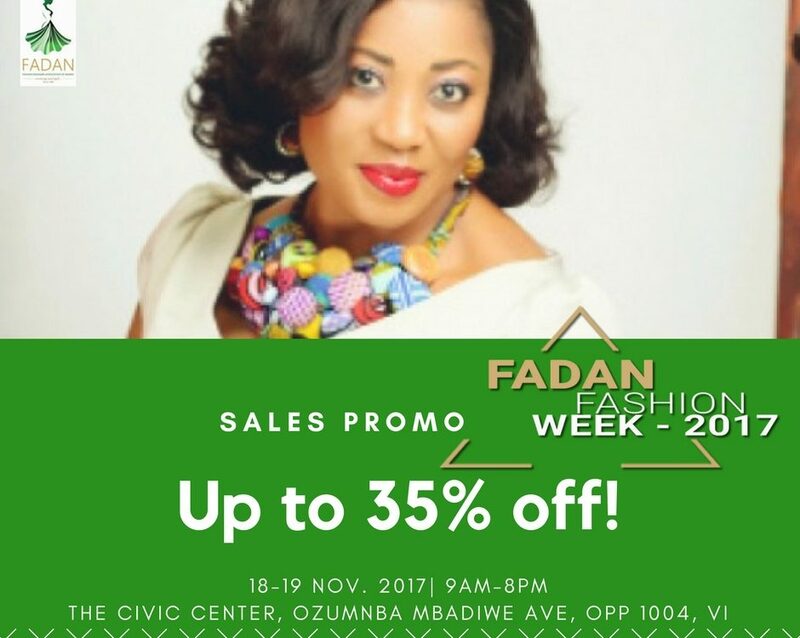 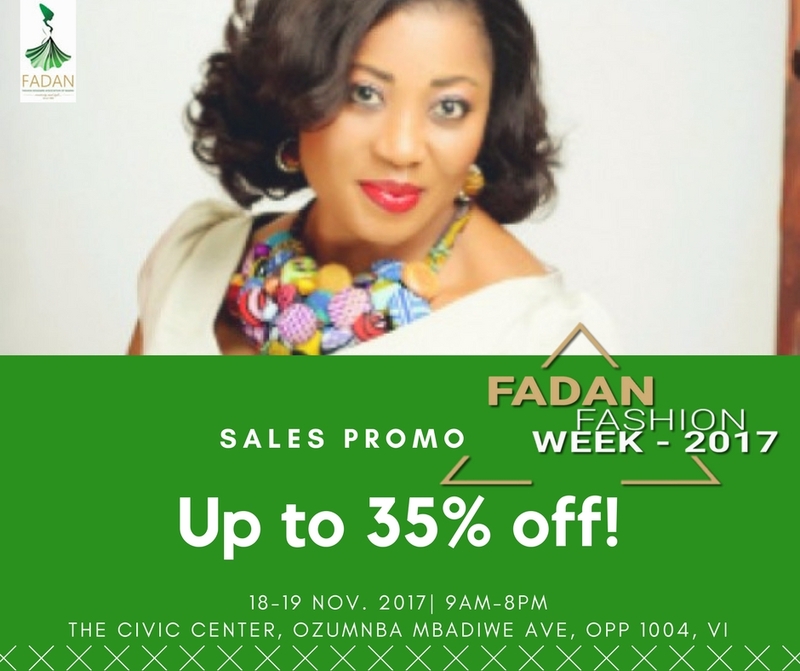 MonAmi, House Of Marie, Bijelly Couture, FinAfrik ,House Of Asba, Lolli O.
Venue:Sheba Centre Mobalaji Bank Anthony Way, Ikeja, Lagos.